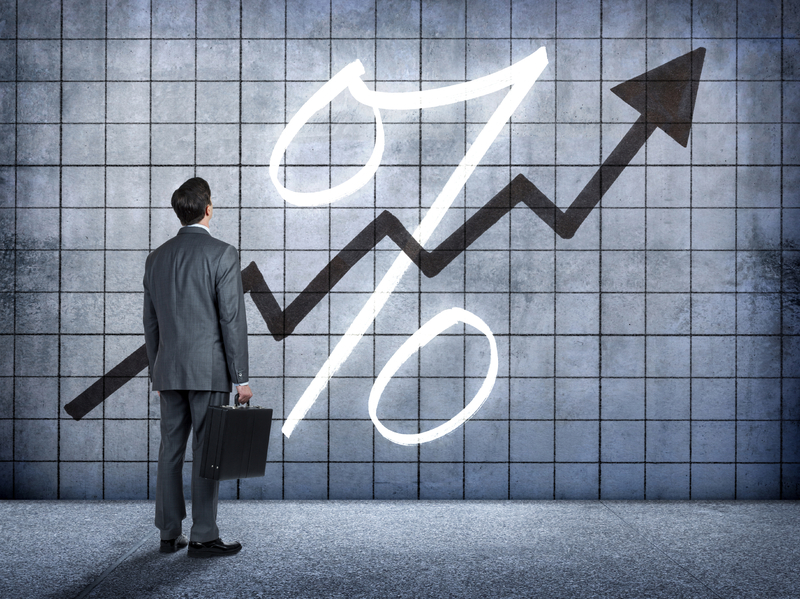 Recent guidance from the Federal Reserve (Fed) suggests it may finally be ready to lift interest rates at its next meeting on December 16, and the market has taken note. According to Bloomberg, as of December 10 the probability of a hike was 80%. Bloomberg has a cool function that calculates the probability of a rate hike at any given Federal Open Market Committee (FOMC) meeting based on the pricing of certain derivative contracts. This function is illustrated below and has frequently been quoted in the financial media. In addition to determining the probability of a rate move at any given meeting, the function also determines the probability of interest rates falling within a particular range. The table below illustrates this probability distribution for interest rates in December 2016. This distribution implies that the benchmark rate will be at 0.86% in 12 months. Given the benchmark rate is currently between 0.00% and 0.25% (we can assume the middle point of 0.125% for simplicity), pricing in these derivative contracts implies three rate hikes over the next 12 months. The table above breaks down the components of total return for the Aggregate Bond Index (a proxy for the domestic bond market). The return components include price return and yield. From this we can see the rise in interest rates reduces the value of the bonds (price return), but the coupon payments (yield) are more than able to cover the loss. To emphasize: in this scenario there will likely be some initial volatility, but the return on fixed income can still be positive, even with a rate hike. This simplified analysis ignores the effects of a potential increase in default rates (this would lower expected bond returns), the effects of the roll yield (this would increase expected bond returns), and convexity. The views expressed herein are exclusively those of CLS Investments, LLC, and are not meant as investment advice and are subject to change. No part of this report may be reproduced in any manner without the express written permission of CLS Investments, LLC. Information contained herein is derived from sources we believe to be reliable, however, we do not represent that this information is complete or accurate and it should not be relied upon as such. All opinions expressed herein are subject to change without notice. This information is prepared for general information only. It does not have regard to the specific investment objectives, financial situation and the particular needs of any specific person who may receive this report. You should seek financial advice regarding the appropriateness of investing in any security or investment strategy discussed or recommended in this report and should understand that statements regarding future prospects may not be realized. You should note that security values may fluctuate and that each security’s price or value may rise or fall. Accordingly, investors may receive back less than originally invested. Past performance is not a guide to future performance. Investing in any security involves certain systematic risks including, but not limited to, market risk, interest-rate risk, inflation risk, and event risk. These risks are in addition to any unsystematic risks associated with particular investment styles or strategies. The graphs and charts contained in this work are for informational purposes only. No graph or chart should be regarded as a guide to investing.